When Robert was diagnosed with cancer back in 2010, his father started calling him “Robert the Great” and the nickname stuck! And Robert has been great as he’s been dealing with all the procedures that come with leukemia. He was supposed to be in treatment for three and a half years. Then, just as his family was planning his end-of-treatment party, the disease came back and Robert had to start all over again. 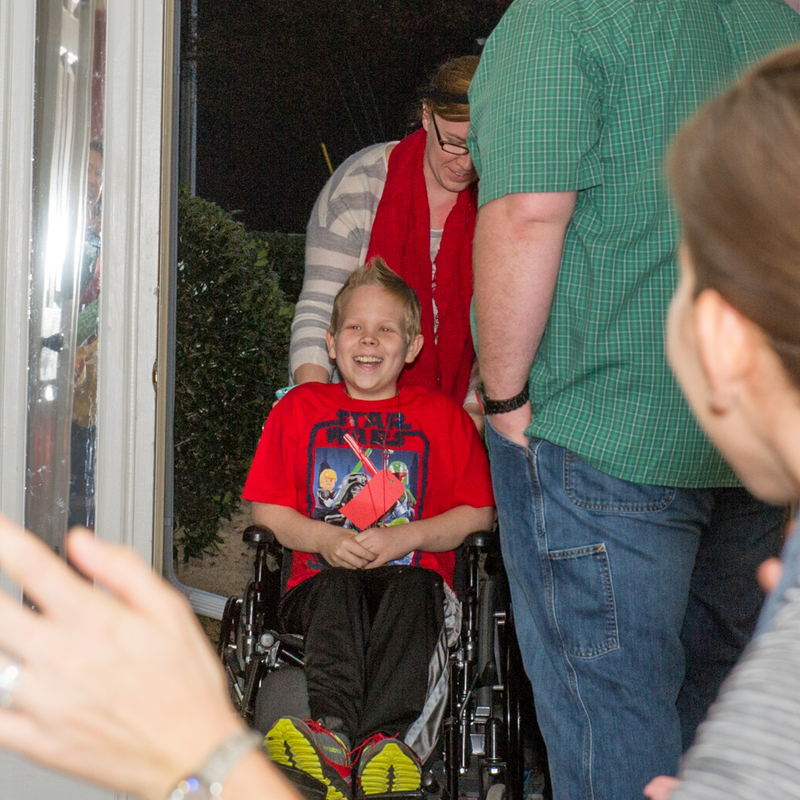 Two thousand doses of chemo later, he’s confined to a wheelchair and still fighting, but his smile is as big as his spirit. We found out that last year Robert (the Great!) 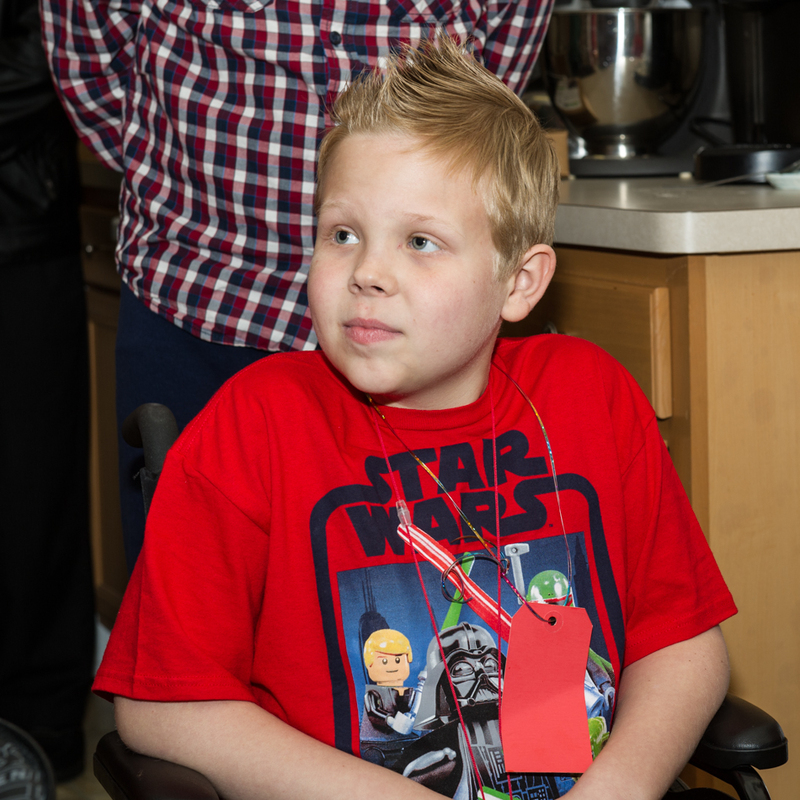 had been chosen by Turner Broadcasting and Aflac to be the star of a video game they created just for him. Now as cool as all that was, Robert the Great had a problem. He had no way to play the game because he did not have the right gaming system. So we went to work! With the help of Team Summer friend A.J. 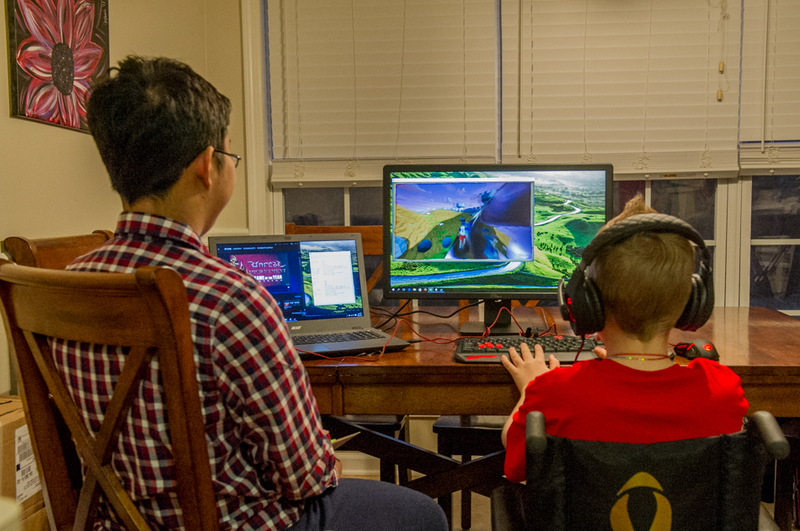 Piplica, who is pretty great himself, we designed a special gaming system just for Robert. Then we called in awesome Team Summer kid Nicholas to present it all. 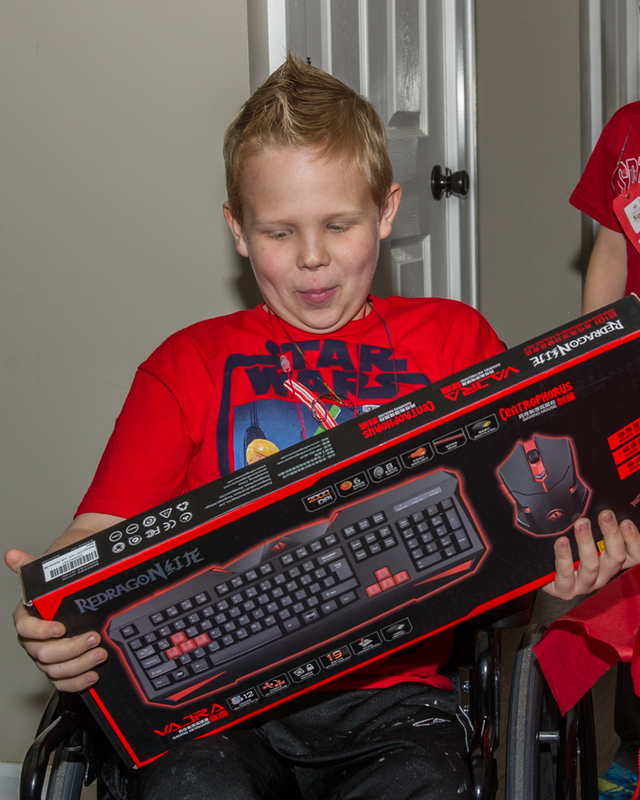 He was the perfect choice because not only did he, too, get a gaming system as his Team Summer gift, but he also just finished battling the same disease as Robert! 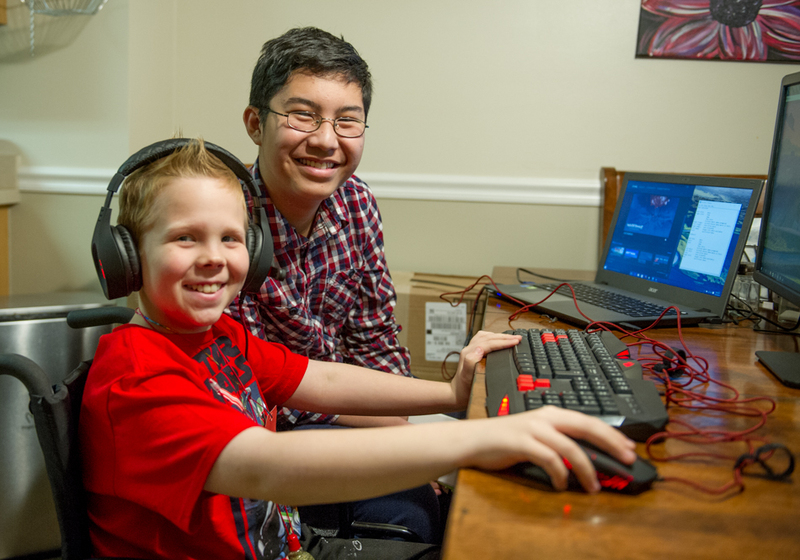 First Nicholas teased him with a keyboard. We could tell that Robert did not know what to think! 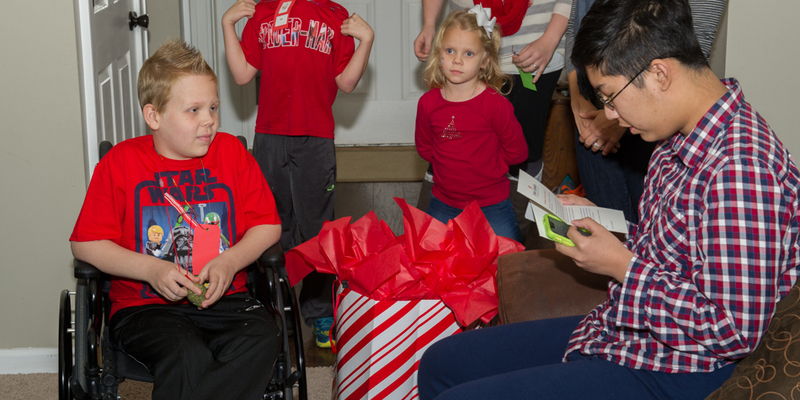 Then with the help of his father, Nicholas took Robert into the kitchen where his gift was set up and ready to go! 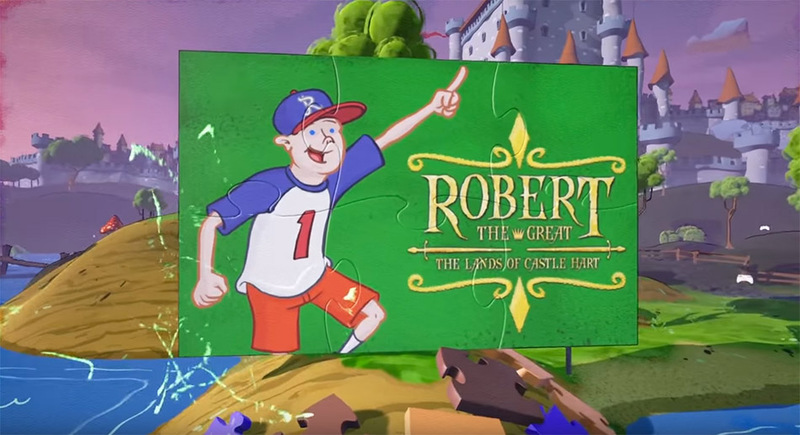 We loaded up the game featuring him – Robert the Great! He put on the headsets and off he went. It was the first time he had been able to play the game since he got it! He handled the controls as if he had been playing it all his life! We also made sure the system had portable components and gave him a knapsack so he can take his games with him into the hospital. 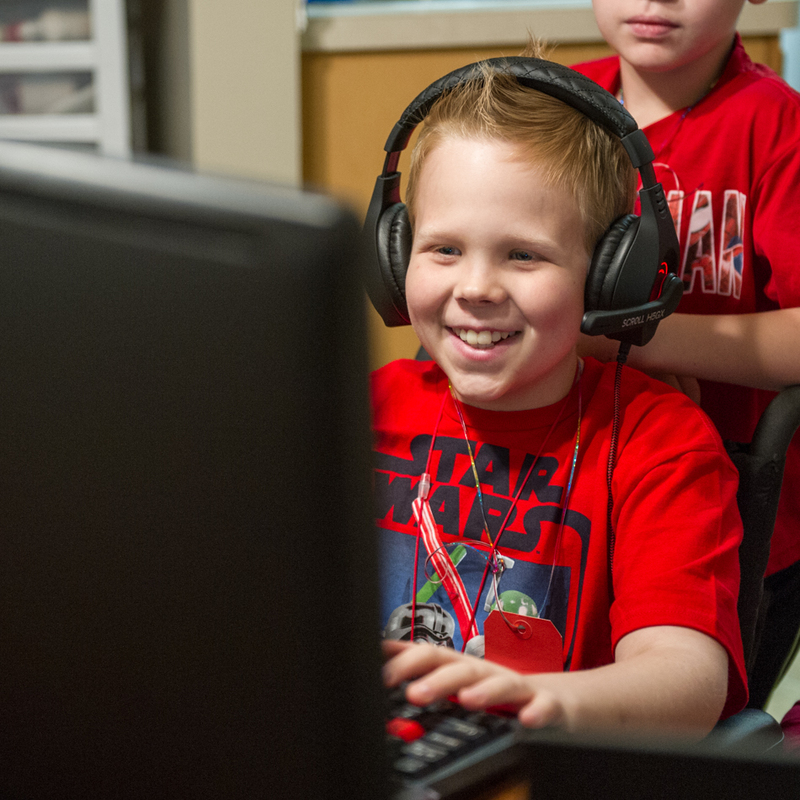 And we loaded his system with software that will help with his school work, too. Robert the Great still has a ways to go with his treatment, but now, thanks to our wonderful donors, he’s got something really fun to distract him. And best of all, he has a new friend who really gets what it’s like to be a kid with cancer!